February 26, 2015 by John P.
Ok, get ready folks because for anyone who has ever wished for more reasonably located USB ports I’m gonna tell you now that I highly recommend the Satechi USB 3 Clamp Hub. In fact, you’re going to wonder why no one thought of this sooner! 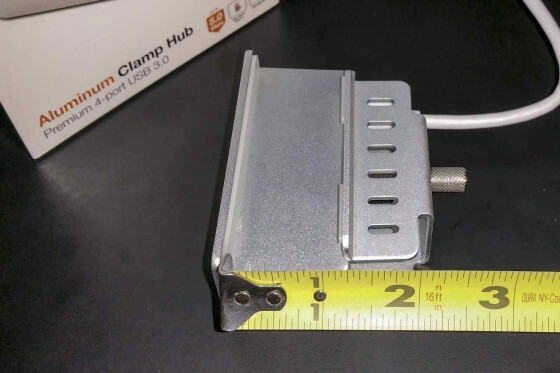 Satechi sent us one of their USB 3.0 Aluminum Clamp Hubs, which was clearly targeted at the iMac and Apple community. The Aluminum casing is made to compliment Apple’s own design elements, and it does so quite nicely. The little Clamp Hub also comes with a short little USB cable made to just reach around to the back of an Apple monitor to allow you to relocate those pesky USB plugs which are impossible to see, which makes it basically impossible to plug things in. 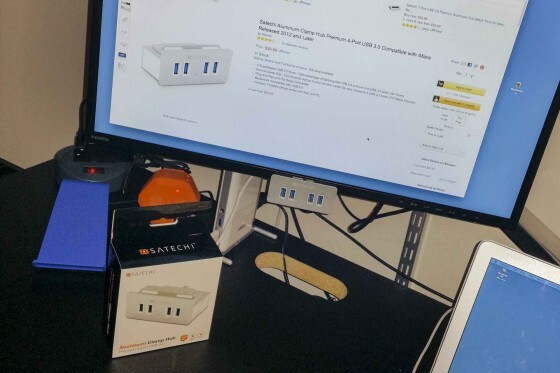 Having said all that, the Satechi USB 3 Clamp Hub works with ANY old monitor, and at worst you can simply plug in a longer USB Micro cable to reach your computer and bring the love. I found the clamp will accommodate monitors up to about 1 1/4″ thick, and it’s lightweight, sturdy and attractive enough to go anywhere. In testing, I experimented with a number of devices plugged into the hub and all worked without fail. USB portable hard drives, Webcam, thumbdrive, external DVD drive. No problems. I also didn’t note any performance issues. 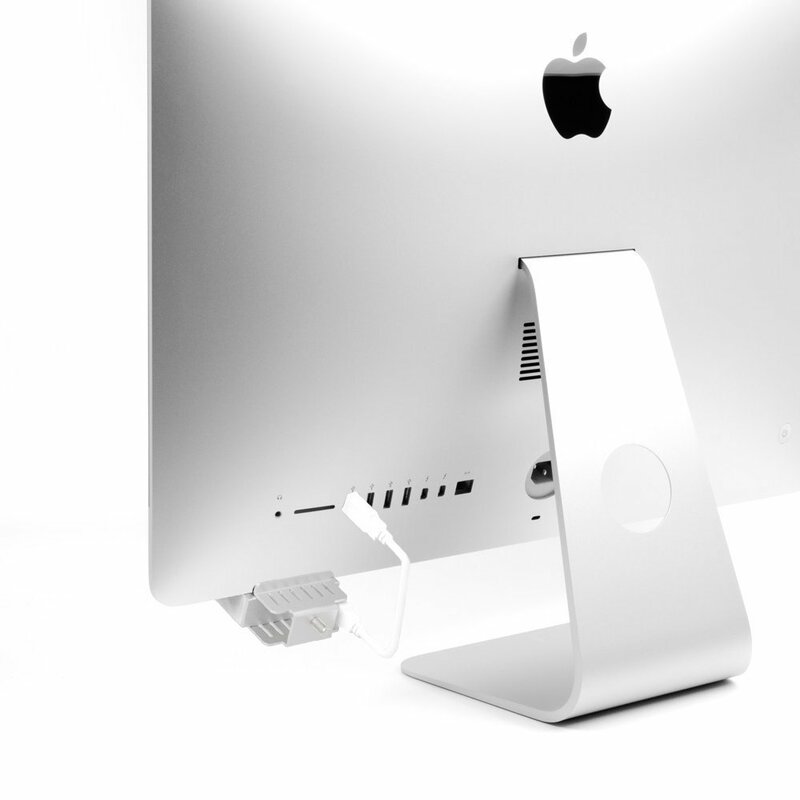 The devices seemed to perform the same whether plugged into the Satechi USB 3 Clamp Hub or directly into the computer. Now, the one challenge is that you shouldn’t expect to get full power from each of the USB ports. This hub will plug into a USB port and then create 4 from one. That means you’re only going to get partial power from each port. Should be enough to run most devices, but charging four phones from this hub would take a while since they are all sharing power. Still! 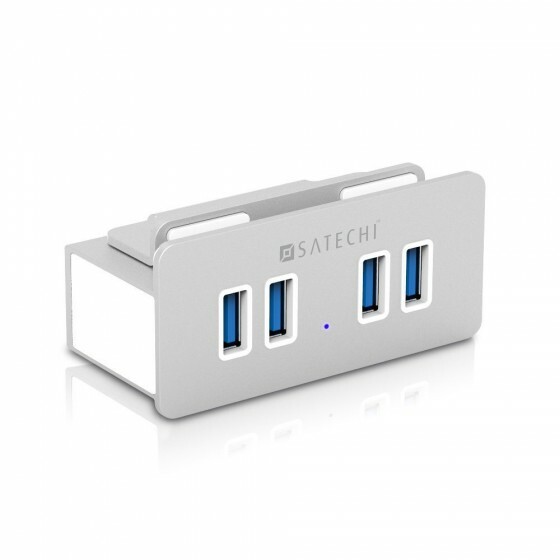 Satechi’s USB 3 Clamp Hub is an attractive and useful little invention, and everyone should have one! 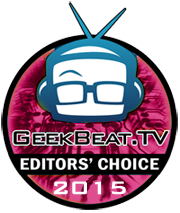 And at a price of just $30, it’s all that more compelling of a value proposition – earning it a Geek Beat Editor’s Choice award! You can pick them up on Amazon, and it’s rumored that they’ll be making their way to Apple retail stores eventually as well. I think that backside needs a little bit more of design, in the front looks ok, but the rear looks odd with that foily bulky holder, like… PC-ey? Mac designed devices and additaments usually play well with the Apple mantra, design, design, design, but this one seems to play two leagues at once, and ends playing not that well with the Apple league, I find it useful, quite useful really, but that holder, well, some more design and they could have a 5 stars work.